« Housing Market Update. Buy, Sell or Hold? Co-Signing Advise: Can I Get off the Hook? Q: “My boyfriend bought a house a few months ago and I agreed to be the co-buyer. We broke up last month and I moved out. He called yesterday to tell me that he had lost his job and that he could not make the payments on the house any longer. I didn’t want the house in the first place and only agreed to be a co-buyer because we planned to marry. Now that the relationship is over, how do I get my name off the title? I don’t want to pay for something that I never wanted and I don’t live in. A: First, you are not a co-buyer… you are a home owner. If you are listed on the mortgage, you are legally liable for the payments and the lender will come after you for the money. Also, be aware that your ex’s failure to pay as promised can damage your credit history. What options do you have now? Put the house up for sale immediately. Make the mortgage payments or the lender will foreclose and your credit will be destroyed. If you can’t afford the mortgage payments, I suggest that you ask the ex to move out and find a renter to help lower the costs until you can sell the home. Unfortunately, you’ve discovered the primary danger of co-signing on any type of loan, both borrowers are fully liable for repayment. If the ex can’t afford to make the payments, it is you on the hook, whether you wanted the property or not. If you need more help, please consult a good real estate attorney. 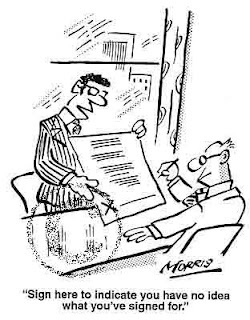 In the future, always consult an attorney before signing legally binding documents. This entry was posted on Wednesday, March 28th, 2007 at 12:00 am	and is filed under Dear Infotube, Mortages and Loans. You can follow any responses to this entry through the RSS 2.0 feed. Responses are currently closed, but you can trackback from your own site.